Although Colombians in Santa Marta are not prone to vegetarian food, the options available in Santa Marta are great! Despite amazing tropical fruits and the freshest fish you can imagine, we are always surprised – and a little disappointed – by the traditional eating habits in Santa Marta. The diet is highly fried and meat-focused, and generally pretty heavy. Thankfully, an increasing number of healthy and even vegetarian/vegan options are springing up and there is now an impressive choice of more internationally-influenced cuisines available in Santa Marta. 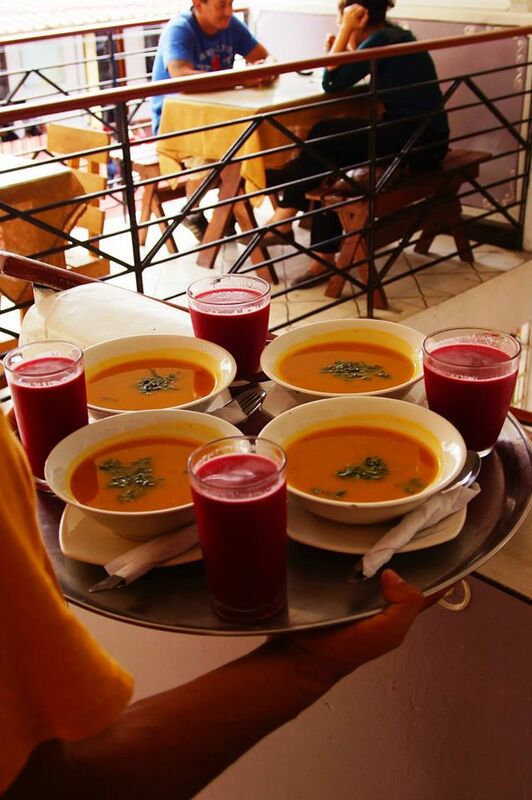 Our many vegetarian guests at Hotel Boutique Casa Carolina have been impressed with the varied and healthy menu at our own Eli’s Restaurant, with numerous vegetarian and vegan dishes available. Our head chef Ana Mendoza delights in fusing international dishes with some Colombian flair, thanks to the incredible local ingredients Santa Marta has to offer. But you can’t stay in all day, so in an attempt to diversify your stay in Santa Marta we share our favourite vegetarian and healthy restaurants in Santa Marta. 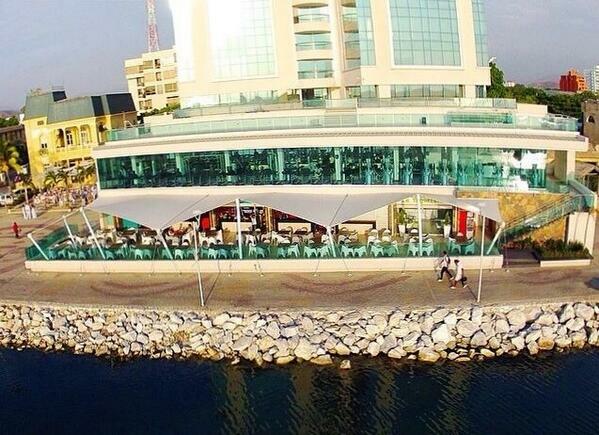 Leading the pack by a mile, Ikaro Café has blown away the competition and well earned a high slot on Tripadvisor. Ikaro offer organic specialty coffee grown on their own Finca (coffee farm) in the Sierra Nevada which they roast themselves. Ikaro’s Austrian owners offer exceptional vegetarian and vegan Asian Fusion food. Light, beautifully presented and tasty, there is really nothing else like it in Santa Marta, or perhaps even Colombia. The oriental breakfast is the perfect start to the day. With homemade brown bread smothered in hummus and topped with avocado and sun dried tomatoes. Great coffee, friendly staff, peaceful and quite. They also do brunch, lunch and diner, and they even offer yoga classes and massages. 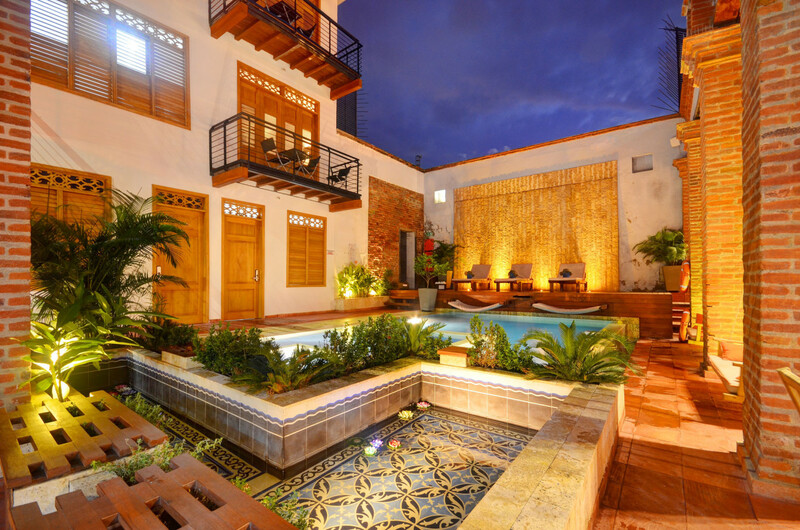 Ikaro Cafe is located in the charming pedestrianised Calle 19 moments from Parque de los Novios and just a short walk from Hotel Boutique Casa Carolina. 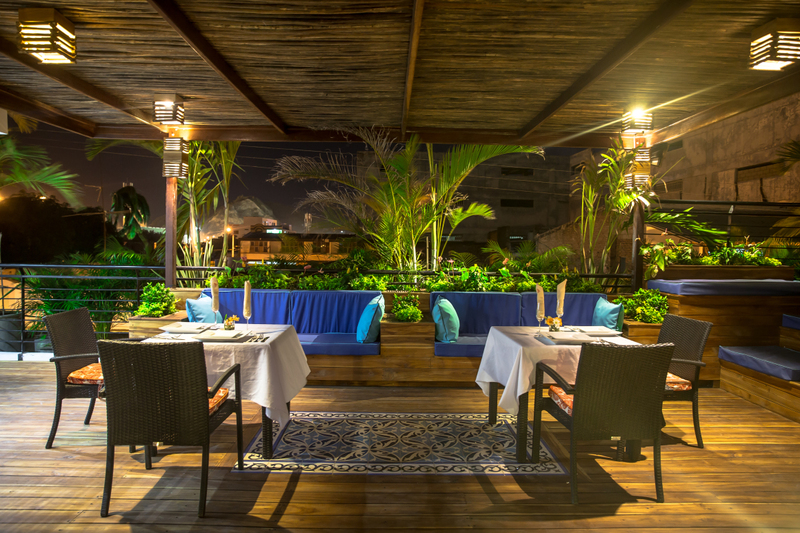 Coco Marina Cafe is also mentioned in our favourite six restaurants in Santa Marta. While the food choices are relatively small, there are several vegetarian options and Coco’s definitely manage a very healthy menu overall. If you’re looking for a more upscale place in a picturesque location, then this is it. The restaurant sits on the marina in Santa Marta, having lunch here is beautiful and dinner is spectacular. We highly recommend trying the cherry lemonade at lunch time and the cocktails for dinner. They also have great homemade deserts and authentic coffee (offering of course soya and almond milk as an alternative to dairy). Coco Marina Cafe is a 10 minutes walk along the seafront from Casa Carolina. Enjoy a stroll by the international marina and beyond, to the beaches of “Los Cocos”. Govinda’s is a completely vegetarian and vegan, and new to Santa Marta. 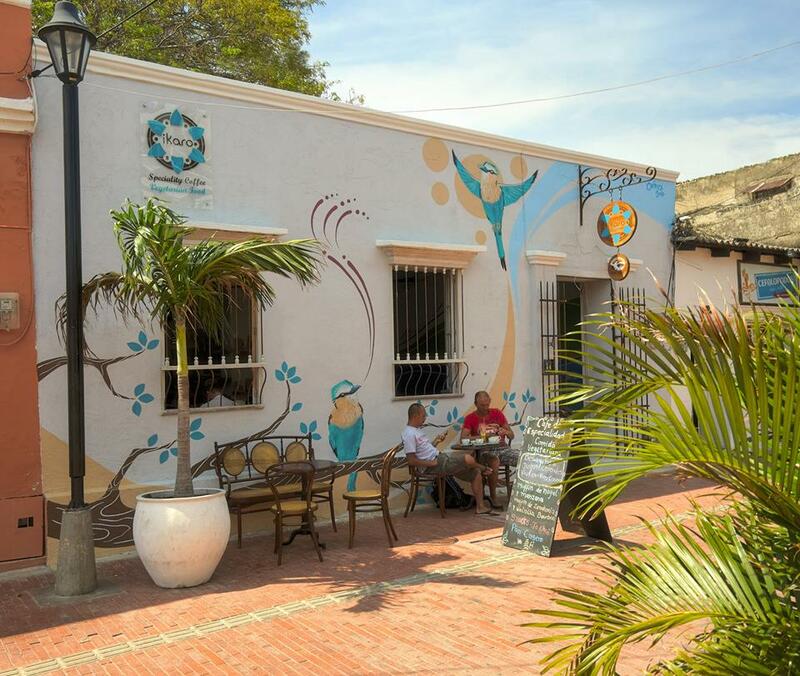 Their menu is ever changing and delicious and not expensive at all, making it one of the best vegetarian restaurants in Santa Marta. It’s a great place for lunch. The service is very good, the staff makes us feel at home whenever we go. It’s a cool place for large groups and there’s no reservation needed. They also have a store where you can buy natural non-animal-tested products. Oh, and they also offer yoga classes! 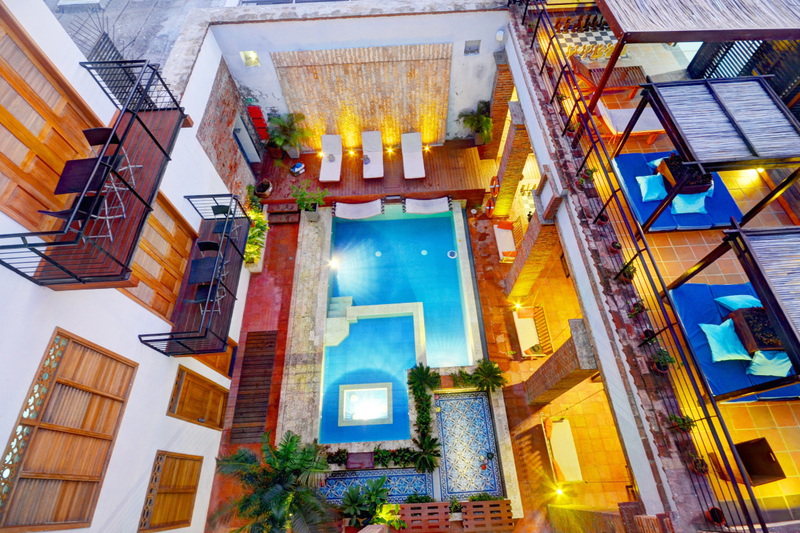 Govinda’s is located very close to Casa Carolina, just a five minute walk away, just the other side of the Carrera Quinta (Avenue Five). It definitely gets our thumbs up, especially as a lower-cost lunch option. Despite Colombian’s not being very “vegetarian” Vital is always full of locals which is always a good sign. The food is delicious with plenty of options, lovely staff and super cheap. A “corriente” lunch costs just 8.000 pesos with a choice of five different items from a buffet choice of about eight. Vital’s also sell breads, nuts, cereals, and has a natural-style pharmacy. Various juices and snacks (empanadas, pasties, tortillas, cakes) are available to take away and are all vegetarian or vegan. The food is a little heavy and not extremely refined, but for 8.000 pesos you will understand why we made it part of our list. Vital is probably one of the best value lunches in the city and fills you up, healthily, for the day. 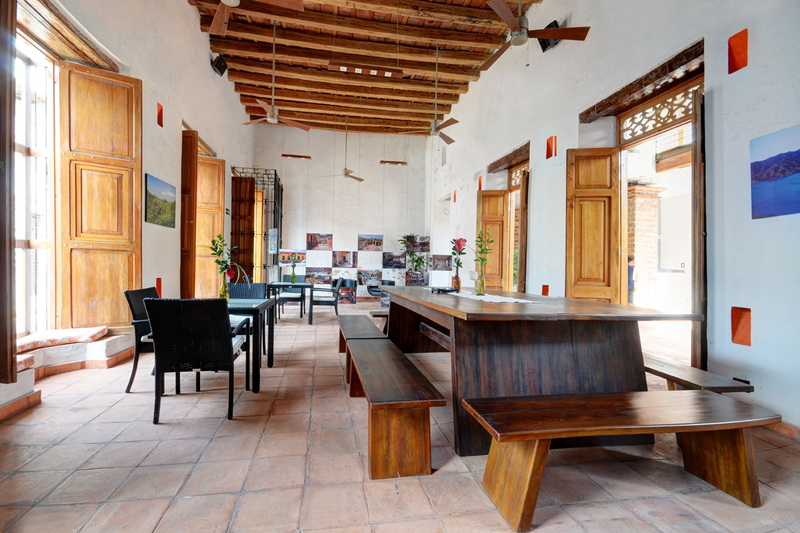 This concludes our list of favorite vegetarian restaurants in Santa Marta. 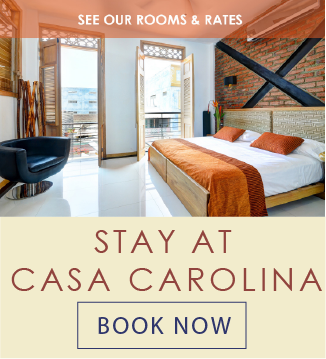 Of course there are many more restaurants around town that offer vegetarian dishes, if you’d like more information feel free to contact Hotel Boutique Casa Carolina.